Limited, focused inventory; what could be easier? 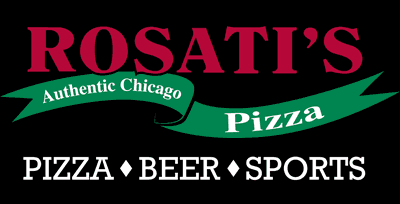 Everything about Rosatiʼs, from the menu and marketing to franchise management, has always been about keeping it simple, straightforward, and without games or gimmicks. Our bottom line is that we make pizza and casual Italian fare, avoiding anything that complicates the process or your bottom line. Weʼve got a product that people crave... and itʼs damn good! We promise great-tasting food made from our own familyʼs tried and true recipes and we deliver on that promise. 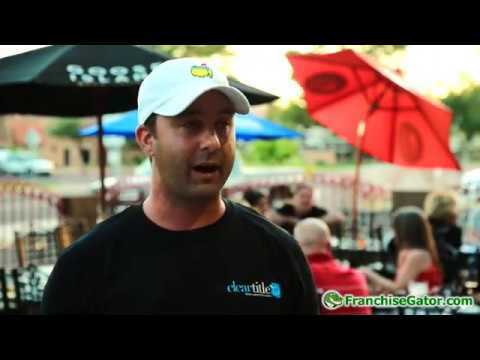 When you start a business in your own kitchen and nurture it into a national franchise, thatʼs execution with drive. When you work your way up from delivery driver to store owner, thatʼs passion. And when you drive 6 hours out of your way to get a pizza, thatʼs a Rosatiʼs customer! Since day one, weʼve been committed to making the worldʼs greatest pizza and thatʼs not about to change. As long as weʼre enthusiastic about Rosatiʼs, our customers will be too. We're looking for franchise owners who are outgoing and have sales, marketing, and/or management experience, and who are results oriented. A person who can build relationships, lead a team, and who has the motivation to excel! You must have a minimum of $70k in liquid capital, and be ready to make a full-time commitment. 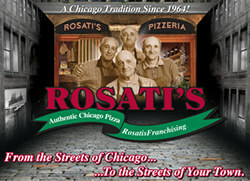 How long does it take to open a Rosati's Pizza restaurant? Each location is different, depending on a variety of factors. Some of these factors include site selection, build-out requirements and training. However, it typically takes about 6 to 8 months from signing the Franchise Agreement to opening day of a Rosatiʼs Pizza franchise. What type of training can a franchisee expect? All new franchisees participate in a 4-week training program. This consists of 4 weeks of on-the-job training at a Rosatiʼs Training Store within your geographical location that will include real-time management experience. In addition, we will train your assistant manager for three weeks at the same training center. Once initial training has been completed, franchisees receive regular updates to their training, including on-site reviews. How is food quality and consistency maintained? Our Rosatiʼs Brand products are created from family recipes that have been handed down from generation to generation for more than 40 years. They have been blended exclusively for us by the highest quality manufacturers in the industry. Products are delivered to our stores by national distributors on a weekly basis. Our vegetables are purchased from local sources and are delivered to our stores fresh daily. 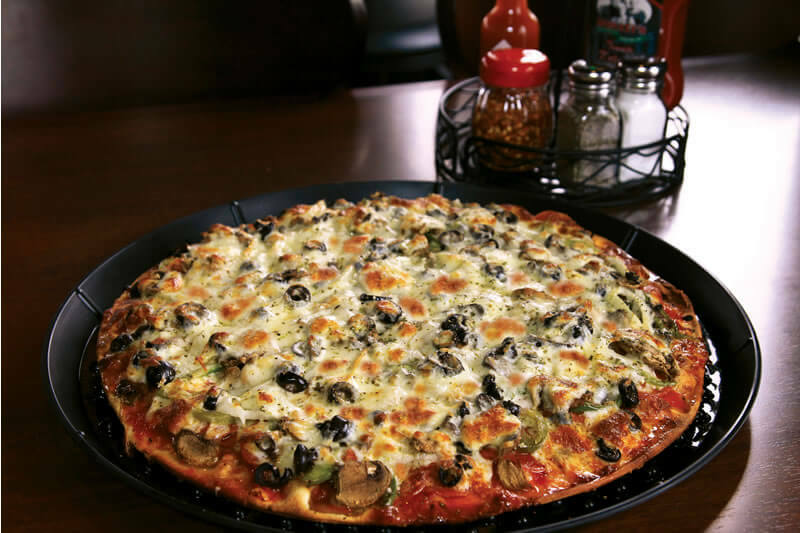 In this manner, the high-quality Rosatiʼs Pizza you enjoy in Chicago, Illinois is the same as the tasty pizza we make for you in Phoenix, Arizona or any other Rosatiʼs Pizza location. Please call Tim McCarthy directly at (847) 915-9174. 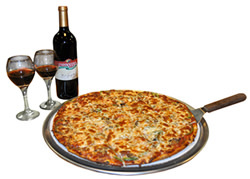 Rosati's Pizza Franchising is currently accepting inquiries from the following states: Wyoming, West Virginia, Wisconsin, Washington, Vermont, Virginia, Utah, Texas, Tennessee, South Dakota, South Carolina, Rhode Island, Pennsylvania, Oregon, Oklahoma, Ohio, New York, Nevada, New Mexico, New Jersey, New Hampshire, Nebraska, North Dakota, North Carolina, Montana, Mississippi, Missouri, Minnesota, Michigan, Maine, Maryland, Massachusetts, Louisiana, Kentucky, Kansas, Indiana, Illinois, Idaho, Iowa, Hawaii, Georgia, Florida, Delaware, Washington, D.C., Connecticut, Colorado, California, Arizona, Arkansas, Alabama, Alaska. Rosati's Pizza Franchising is also currently accepting inquiries from Canada.